Born: December 18, 1992 in Washington, D.C.
Bridgit Mendler is an actress mostly known for her roles on the Disney Channel shows Good Luck Charlie and Wizards of Waverly Place. She is also a singer and songwriter. Where did Bridgit grow up? Bridgit was born on December 18, 1992 in Washington, D.C. She grew up in Washington D.C. and then moved to Mill Valley, California when she was 8 years old. She started to get into acting at a young age and got her first TV role on the soap opera General Hospital when she was 13. Did she do much acting before Disney Channel? Bridgit had some acting roles before she hit it big on Disney Channel. She had some smaller roles in the movies Alice Upside Down, Labor Pains, and The Clique. Then in 2009 she was in an episode of Jonas, had a part in Alvin and the Chipmunks: The Squeakquel, and got a recurring role on Wizards of Waverly Place. On Wizard's of Waverly Place, Bridgit played the role Juliet van Heusen. Juliet's family moves in down the street from the Russo's and opens up a rival sandwich shop. It turns out Juliet and her family are vampires. Although vampires are usually the enemy of wizards, Juliet and Justin Russo end up dating. In 2010 Bridgit got her big break in a full time role as one of the cast members of Good Luck Charlie. She plays Teddy Duncan, the oldest daughter in the Duncan family and makes short films in each show to help her baby sister out when she is older. 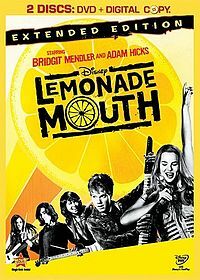 In 2010 Bridget will play the lead role in her first major Disney Channel Movie Lemonade Mouth. In Lemonade Mouth she meets up with some other kids in her school and starts a rock band. Her middle name is Claire. She goes to on-line high school through Stanford University. She was nominated for Breakout Female Star Teen Choice Award in 2010. Bridgit has a great singing voice and has recorded several songs and videos for Disney Channel. She was the youngest performer at the San Francisco Fringe Festival. She once did some voice over for a video game.